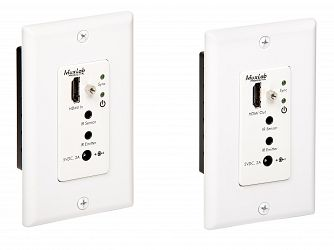 Med bland annat 500451-WP-DEC-RX presenterar vi Muxlabs nya Wallplate serie. Detta är en mottagare som är tänkta att monteras infällda i väggen. 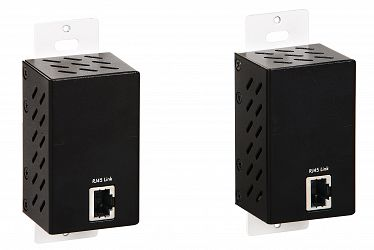 The HDMI Wall-Plate Extender Kit, HDBT, Decora allows HDMI equipment to be connected up to 230 ft (70m) @ 1080P via one (1) Cat5e/6 unshielded twisted pair cables in a point-to-point configuration. The kit comes with one (1) Transmitter and one (1) Receiver. HDBaseT Switch med separat ljud.